September 2016 | Land Pooling: Delhi - Need Details? We are Happy to help!! There are a number of options in the market for homebuyers interested in DDA’s Land Pooling Policy. This comprises of both Societies and builders. Also, there is no clarity on the legality of their existence and if they could sell the units before the commencement of anything concrete on the ground. 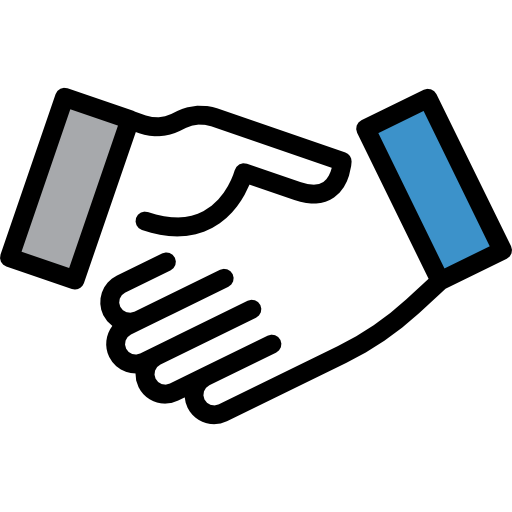 So if one still feels keen in looking into the available options, we would like to offer a check list for the prospective buyers. A number of like-minded individuals come together and decides to take a route leading them towards a common interest. With time more people would join the bandwagon ensuring the sustainability of the idea. As far as we understand, societies have always worked on a similar principal. DDA’s Land Pooling Policy is one such lucrative concept which has lured people from public / private companies alike into forming such housing /welfare societies to take advantage of the policy. DDA too has abstained from taking a clear stand on the legitimacy of such societies. One must take into account certain precautions before investing into any proposed society/builder project in any of the zones under LPP. First comes the NOC after which comes registration of the land. It is then followed by mutation which could also be considered the most important step towards the procurement. One must ensure that the society holds the required papers for the land they claim to be theirs. Not all societies would be formed by genuine beings. Try not to get swept away with the market sentiment and do a thorough check for the authenticity of the managing committee. Societies are supposed to work on a no-profit no-loss basis and no commercial activity should be carried out by them. They are supposed to get their accounts audited after the end of every financial year. Better level of communication is expected since most of the times they get formed with the participation of known ones. Centre, State Tussle on LPP has become the reason for holding up of Delhi’s humongous potential of creating affordable homes. Group of experts tries to dissect the issue between State and Centre Government to get to the root cause and a probable solution to the stand-off. Need of the hour is to get the stakeholders to a discussion table and help them iron out the issues. The policy holds something for all sections of the society and should be rushed to implementation by all means. Delhi’s L-Zone is located in South-West Delhi and is strategically positioned between Dwarka and Gurgaon. It is the most popular zone among property buyers of all the zones in Land Pooling Policy; and is expected to give an impetus to the slow and stagnant real estate market of the national capital. Zone L is the most popular zone among property buyers, housing societies and real estate developers. It has the highest land bank among all the zones in the MPD-2021. Many reputed builders of Delhi-NCR have not just stepped in but have already launched their new residential projects in L-Zone. L-Zone for being so strategically placed, is supposed to provide excellent returns on your investments. The property prices are way too low here as of now as compared to the adjacent already developed areas. But the land/property price in this zone is rising with each passing month. L Zone, among all the zones, is probably the best in terms of location and connectivity. 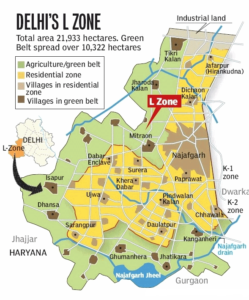 L-Zone is close to IGI Airport. It is strategically located between Dwarka and Gurgaon; is close to Dwarka Sector 21 Metro Station and Dwarka expressway. The zone is in close proximity to New 18 Hole Golf Course, which is under construction and upcoming new diplomatic area. 80 M wide UER-II will connect L-zone with Airport, Dwarka and South-Delhi. A substantial development of Residential, Commercial, Public and Semi-public segment will happen through public – private partnership. 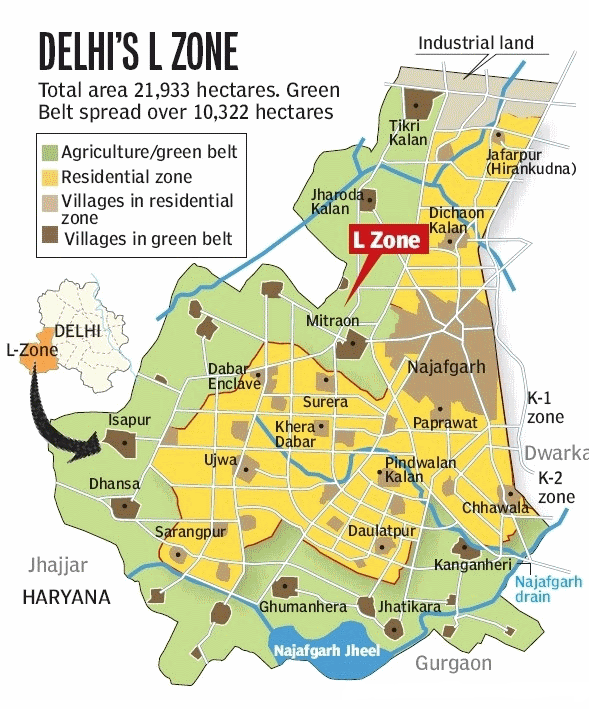 This is largest of all the zones to be a part of Delhi’s Land Pooling Policy. Hence it is expected to supply the largest share of property in the capital. It is surrounded by NH-10/Rohtak Road and Railway Line on its North side; the NCT of Delhi’s boundary on its southern and western sides; and it is just a few kms away South Delhi and West Delhi.